With all of this talk about starting retirement planning early, we could be asking ourselves how early we should start. Numerous articles on the internet and in important business magazines, even syndicated radio shows, are telling Millenials they need to start planning for retirement as soon as they graduate from college. Some might think starting to plan for retirement right out of college might be extreme, but I’m going to throw something out there even more radical. There’s a saying that goes something like this: “There are three things you shouldn’t talk about with your roommate: religion, politics, and money.” But when it comes to kids, most parents want their children to be exposed and raised in the religion and belief system they follow. And in that same light, they also want to share their political views and values with their children as they grow into community-minded and contributing citizens. So why do we not do the same with money? 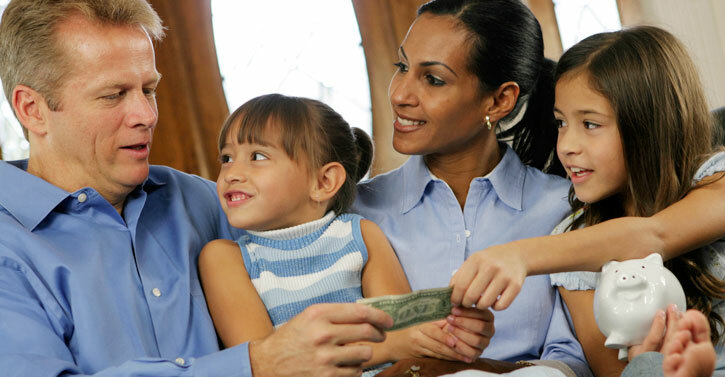 Let me put it bluntly: Parents don’t talk enough about money with their kids. Maybe it’s because they are worried kids will feel burdened with adult concerns; or maybe it’s because they don’t know how to talk about; or maybe it’s because they don’t think kids need to know it until they’re older. But let me tell you this. If we don’t talk about it with them, they won’t ever know how to manage it by the time they are adults. And that is where the root of the retirement planning crisis really begins. If as parents we are not instructing our children the importance of saving, budgeting, and living within our means, then we also are not setting them up for success in finances and in life. Yes, ultimately it is each individual’s responsibility to manage their money, but as parents it is our responsibility to train our children how to do so. If we all did just that, we could turn not just the retirement crisis around, but the economy as a whole.